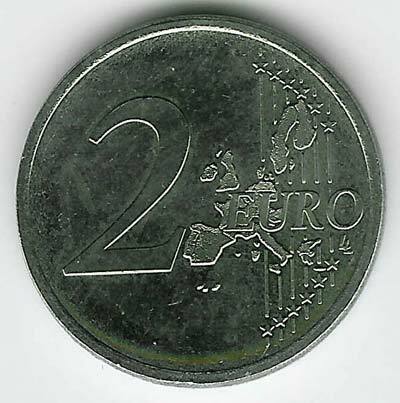 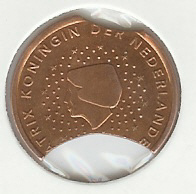 2 Euro 2002 Austria not bimetallic (one metal). 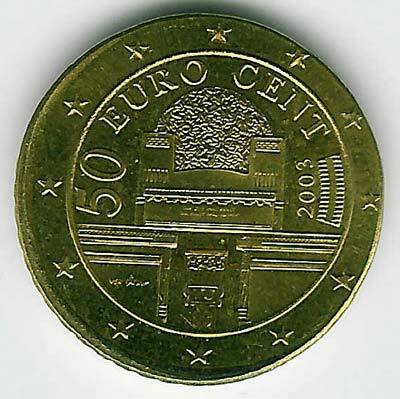 The image of this rare coin is provided by Sebastian R.
50 Euro Cent Austria 2003 struck on a 5 Euro Cent planchet. 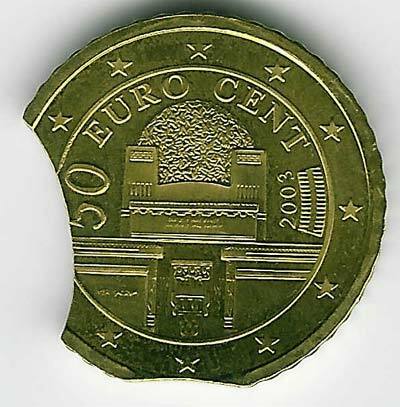 This is one of the most spectacular error that can occur to a mint. 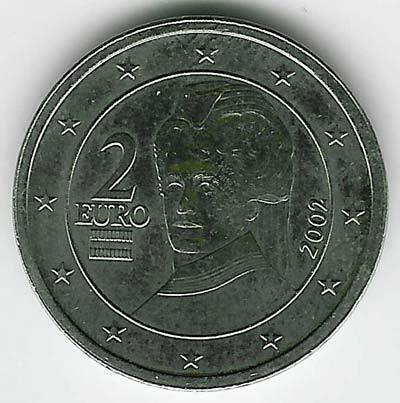 The nice image is provided by Sebastian R.
50 Euro Cent Austria 2003 struck on a 20 Euro Cent planchet. 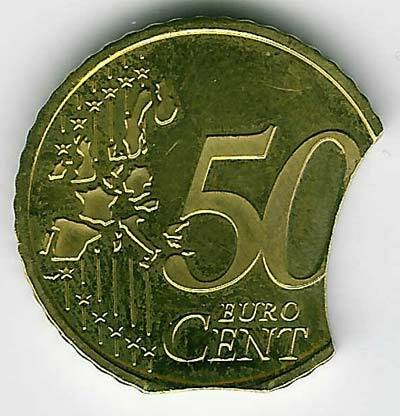 Again another spectacular error. 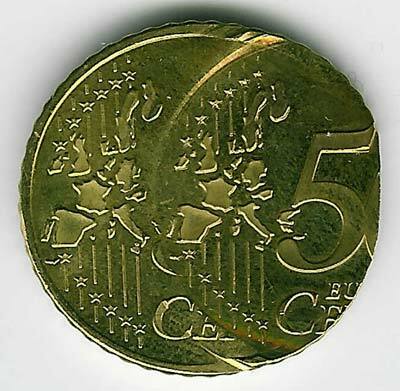 The nice image is provided by Sebastian R.
50 Euro Cent Austria 2003 with 2 clips. 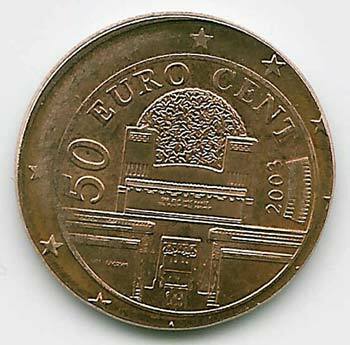 Thank you Sebastian for the nice image!. 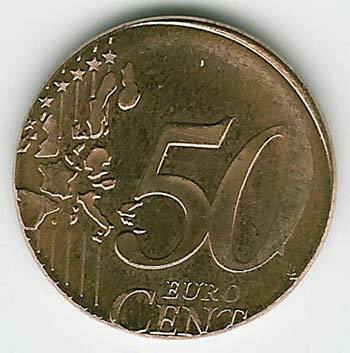 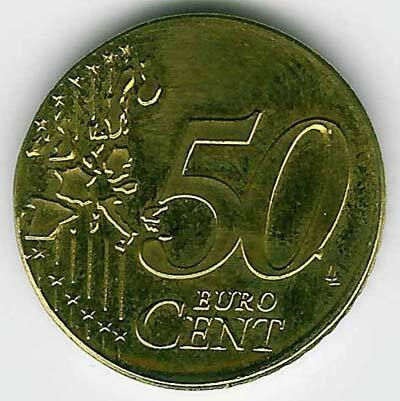 50 Euro Cent Austria 2003 struck 2 times. 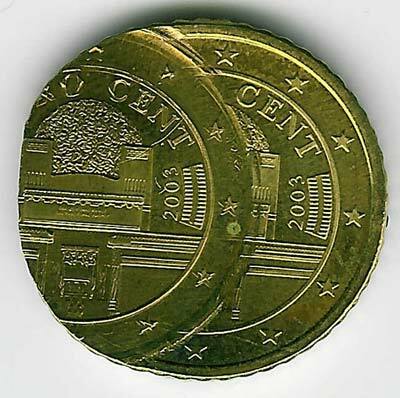 This double struck is very nice, the nice image is provided by Sebastian R.